Seton Hill University is joining with the Fred Rogers Center for Early Learning and Children’s Media and Excela Health on a new partnership to serve bereaved children and their families in Westmoreland County. The partnership was announced at a press conference on November 13 at the Fred Rogers Center where a new brochure, “When Someone Your Child Loves Dies: A Guide from the Fred Rogers Center for Early Learning and Children’s Media” was unveiled. 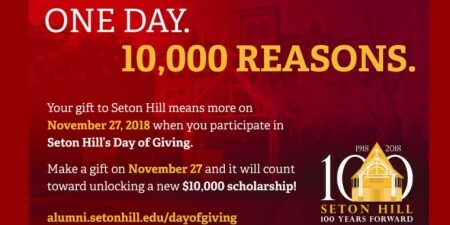 "Seton Hill University is honored to partner with two outstanding service-and community-minded organizations -- the Fred Rogers Center and Excela Health -- and help bring art therapy to this important project in our neighborhood,” stated Dr. Dani Moss, assistant professor of art therapy at Seton Hill. "Artistic expression and play, both of which are foundational in art therapy, are natural languages for children. Grief is not easy to express in words, and sometimes there are too many feelings and thoughts at one time to explain, making it overwhelming. Art holds this, contains this, allows for expressing this, and communicates this. When art therapists provide this natural outlet for children to express their complex feelings, we are playing to their strengths and they can cultivate emotional resilience." The brochure, the first step in the project, was developed based on research on child bereavement across age groups and Fred Rogers’ work focused on child grief. It was created to give parents and caregivers an understanding of how their child may experience grief, how their presence and support is what children need most as they grieve and to offer resources for emotional support. As the project continues to develop in the coming year, the partnering organizations are developing age-appropriate curricula for grief support groups for children age 2 to 19. The groups will be offered by bereavement counselors at Excela Health in connection with existing support groups provided to parents and caregivers. In the development of the curricula, the Fred Rogers Center will contribute knowledge of child development and the wisdom offered by Fred Rogers on how children grieve and the ways adults can support that process. “Our students are excited about the opportunity to use the resources of the Fred Rogers Archive and their education in child development to expand on the research informing the brochure to create new materials,” said Dr. Dana Winters, director of simple interactions and academic programs and assistant professor of child and family studies at the Rogers Center. PHOTO: Excela Health's James Joyce, Dana Winters of the Fred Rogers Center, Seton Hill Art Therapy Faculty Member Dani Moss, and Excela's Maureen Ceidro and Kristy Walter, a Seton Hill alumna, are working together on ways to help children through the grieving process.